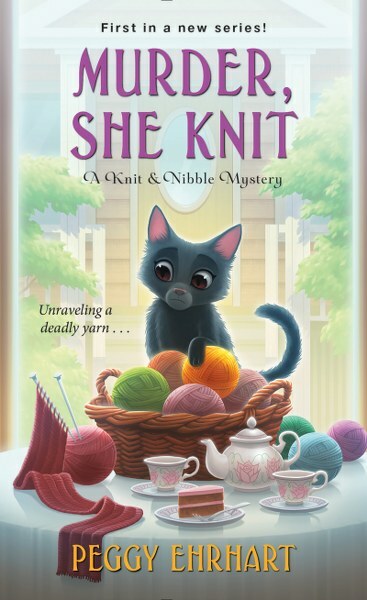 Since her only daughter left for college, widow Pamela Paterson has kept busy as associate editor of a craft magazine and founder of the Knit and Nibble knitting club in quaint Arborville, New Jersey. Now, she’s trying out a new hobby -- solving murders! “A cover story for what?” Bettina asked, surprised enough to take her eyes off the road for a second and glance at Pamela. Peggy Ehrhart is a former English professor who lives in Leonia, New Jersey, where she writes mysteries and plays blues guitar. She holds a Ph.D. in medieval literature from the University of Illinois and taught writing and literature at Queens College, CUNY, and Fairleigh Dickinson University, where she was a tenured full professor. Her short stories have appeared in Futures Mystery Anthology Magazine, Crime and Suspense, Flashing in the Gutters, Spinetingler, Crime Scene: New Jersey 2, and Murder New York Style. 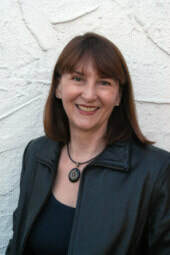 A longtime member of Mystery Writers of America and Sisters in Crime, Peggy served on the board of MWA New York as head of the Mentor Committee. She was president of Sisters in Crime NY/TriState from 2013 to 2015. Peggy regularly attends mystery writing conferences and participates in conference panels and also gives talks on mystery fiction at libraries in New York, Connecticut, and New Jersey. This looks like a fabulous read! Thanks for the giveaway! The book cover is really cute and clever.